Twice Baked Potatoes an easy side dish or you they can be a meal all by themselves. 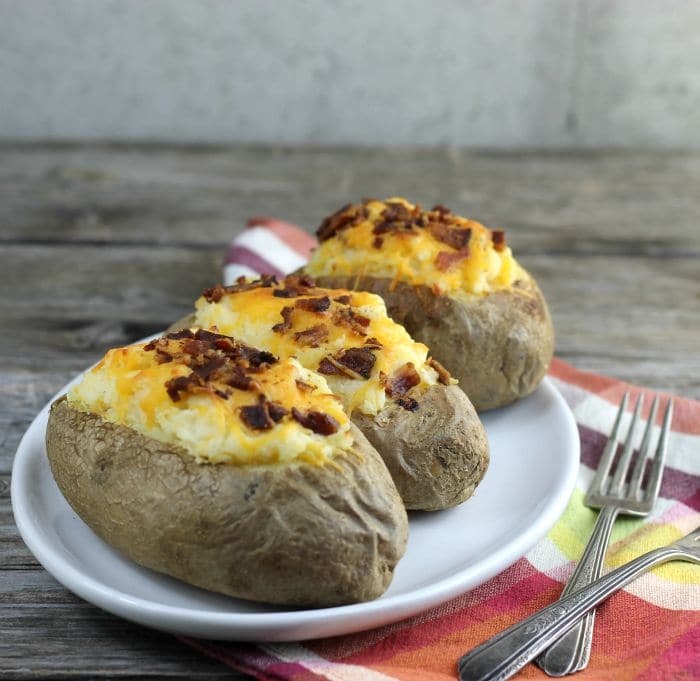 The bacon, sour cream, and cheddar cheese take these baked potatoes to a whole new level. 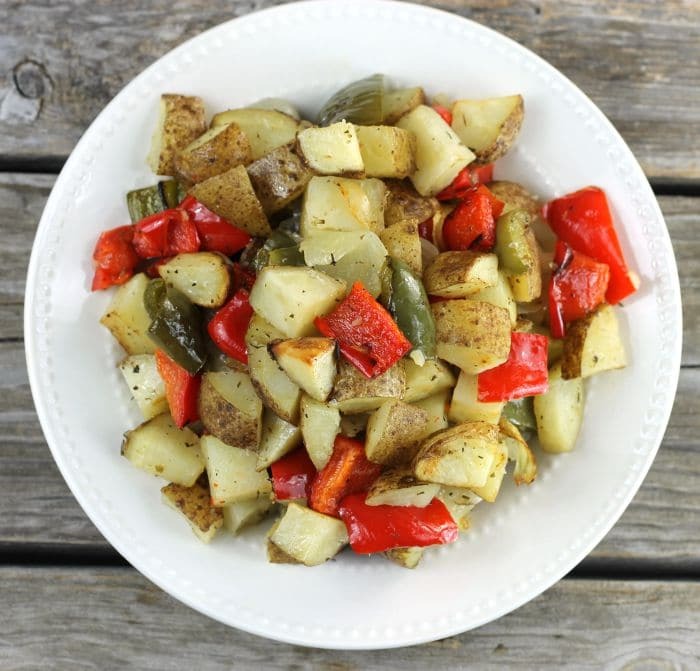 Roasted potatoes and bell peppers… bites of tender potatoes with green peppers, red peppers, and onions make a side dish that goes well with almost any dinner. 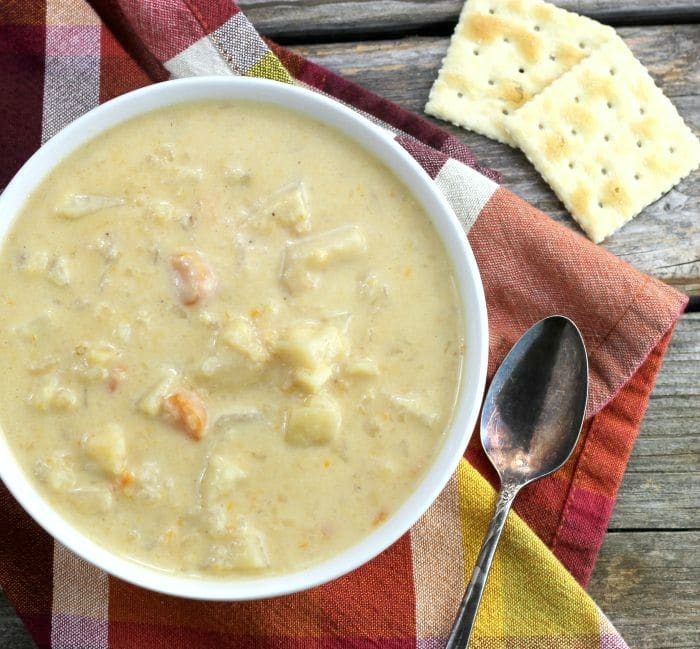 Slow Cooker Potato Leek Soup is the perfect comfort food; loaded with potatoes, leeks, and cheddar cheese it will warm you on those cool days of autumn or the blustery cold days of winter. 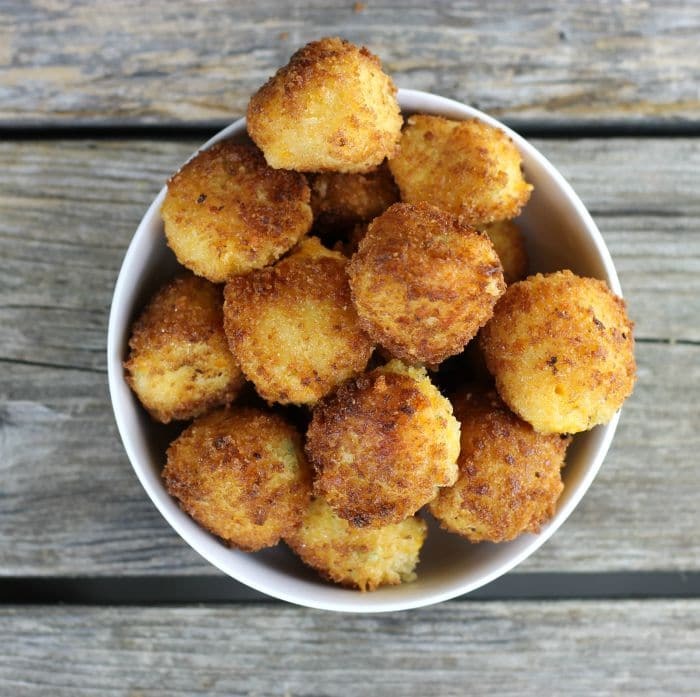 Crispy Mashed Potato Balls, a fun way to serve potatoes, you can serve this as an appetizer or as a side dish, either way, they are delicious! 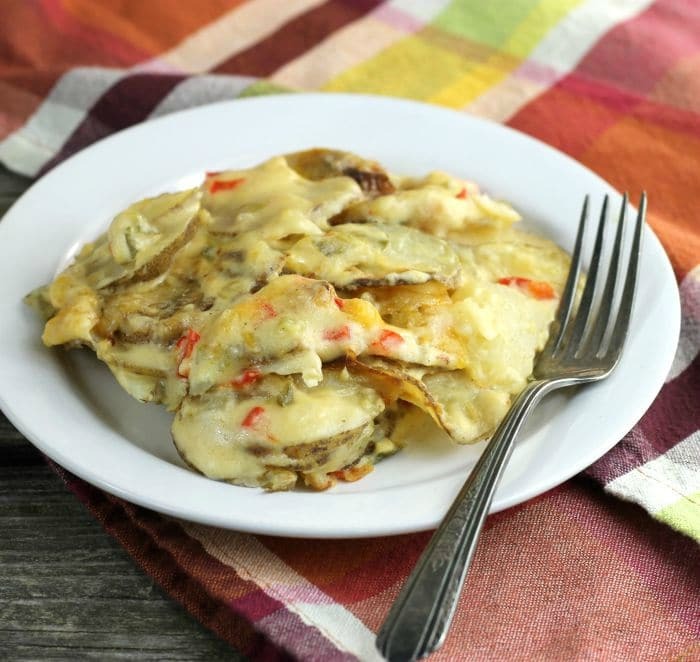 Mexican Cheesy Potatoes creamy tender potatoes made with peppers, onions, Mexican cheese, a white sauce, seasoning, and of course potatoes.